Please email us your shipping info so your beautiful prize can be on its way! 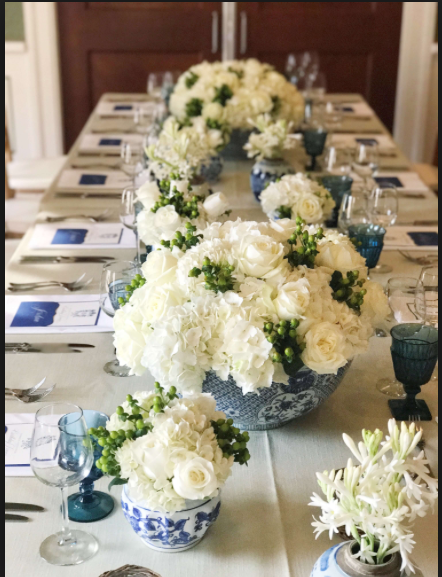 Our party was a huge success and I cannot wait to work on a post to share all the highlights with you…..such a fun party! 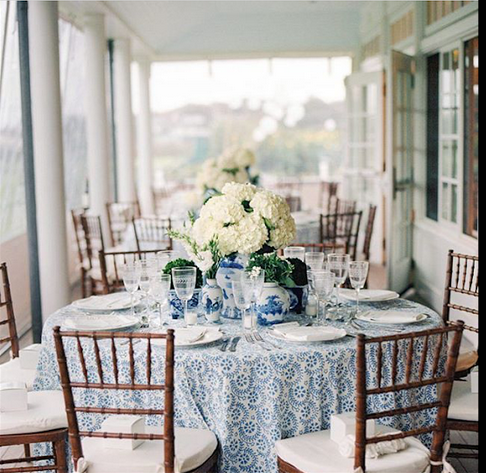 Today it’s all about one of our favorite subjects……blue and white. 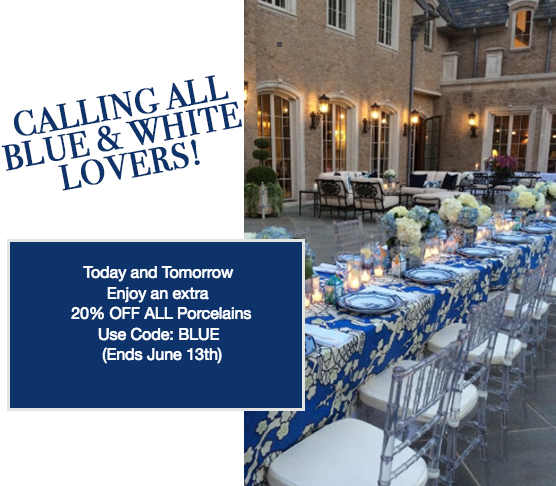 Every few weeks, we have a “virtual meeting” for all the incurable blue and white lovers out there (and there are many)! 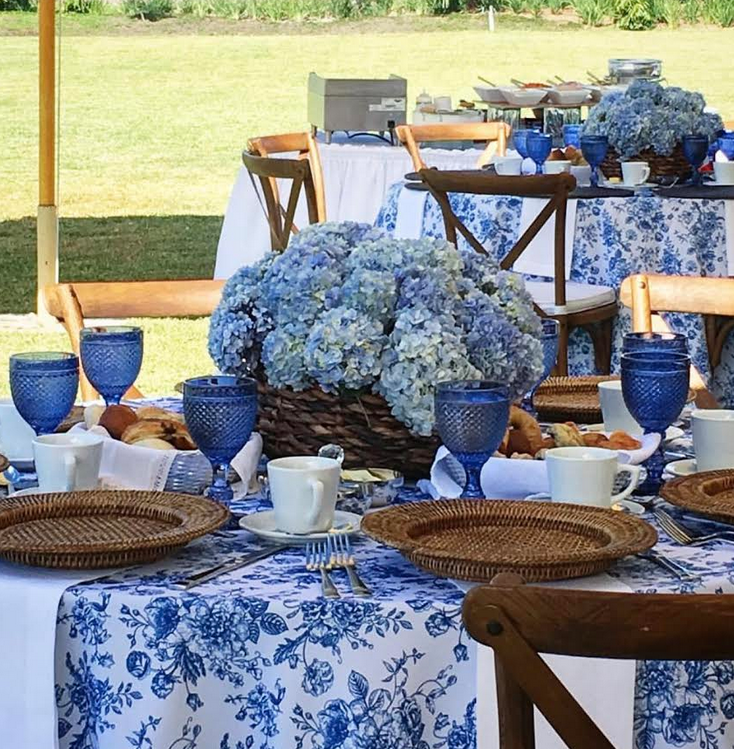 I have to say few things are as pretty as a party both big and small centered around blue and white. It is so fresh and clean, striking and dramatic all at once. 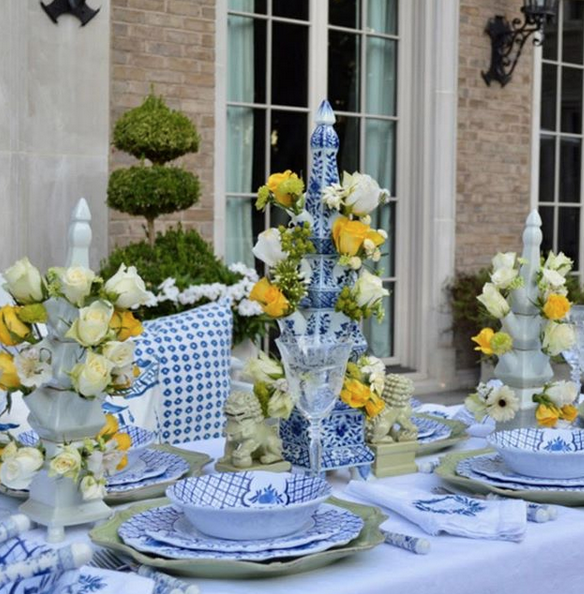 Whether for a luncheon or a wedding, a blue and white them is simply magnificent. 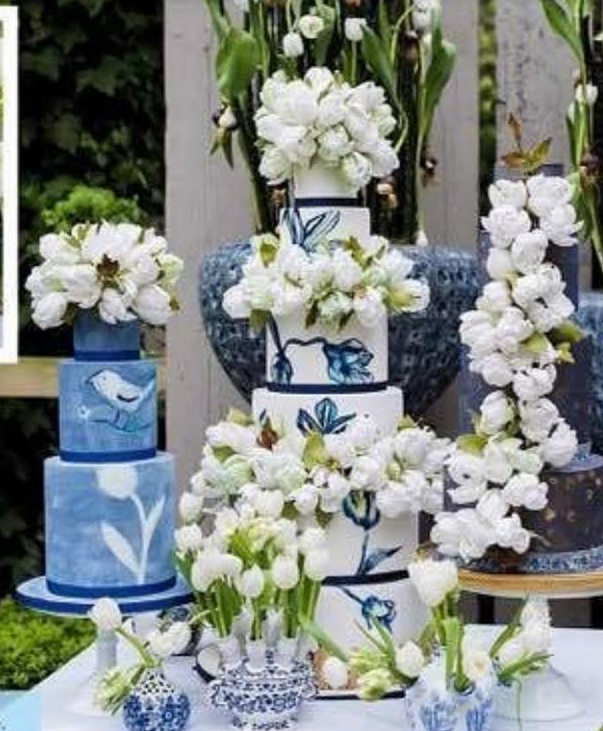 I always joke that hopefully one of my sons will get married to a girl who loves or is open to embracing blue and white and might consider a blue and white themed wedding. 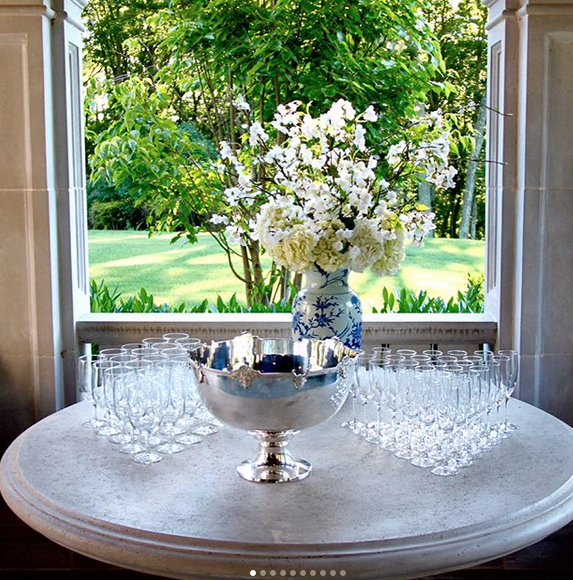 I know just the place to source for elegant vase and containers:) Be forewarned there is a lot of beauty to take in that just may prompt you to start planning a little fete of your own, it was such a fun post to put together……. Isn’t this pretty! 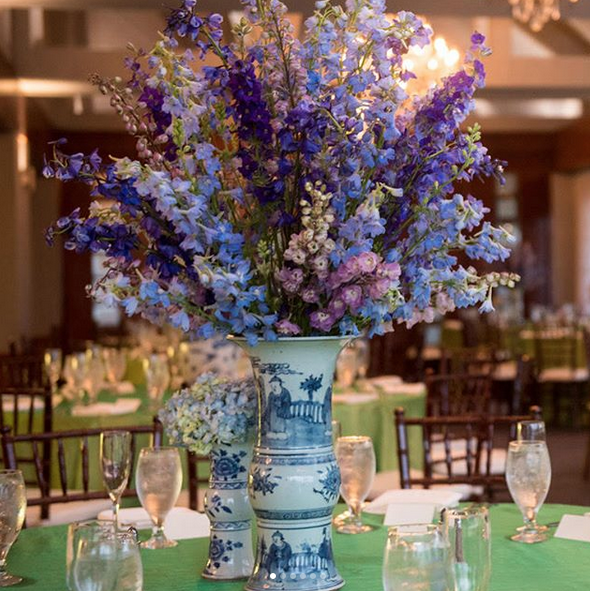 These are our beautiful floral/trellis bowls being used as stunning centerpieces for this elegant table! 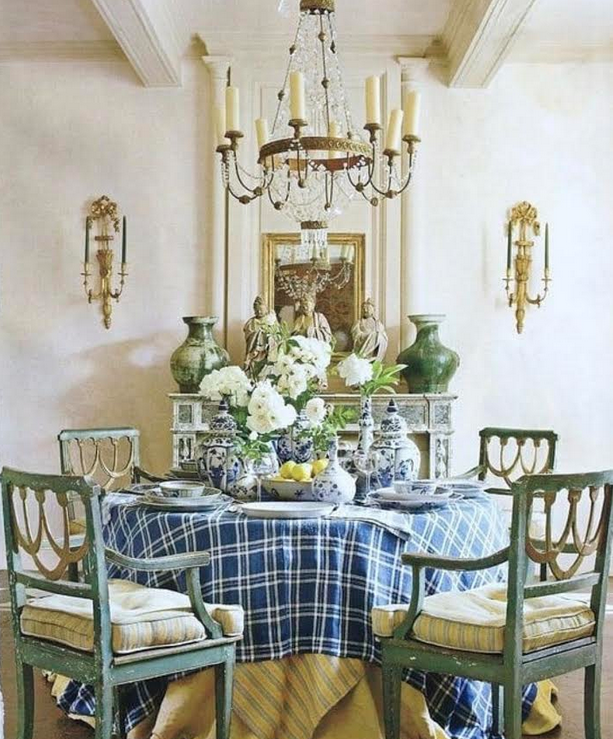 Always loved this table, the arrangments are fabulous and so dramatic! 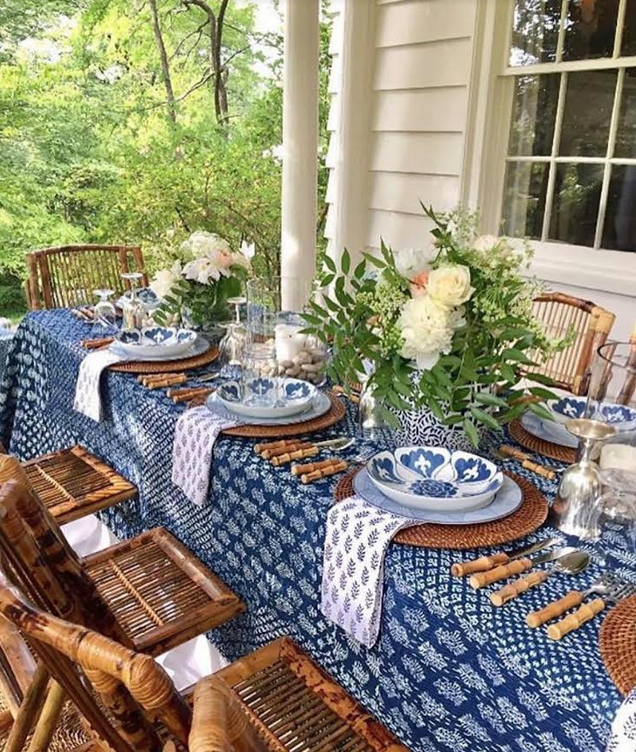 One of my most favorite table settings that I have done, a perfect dinner party setting (or shower)! 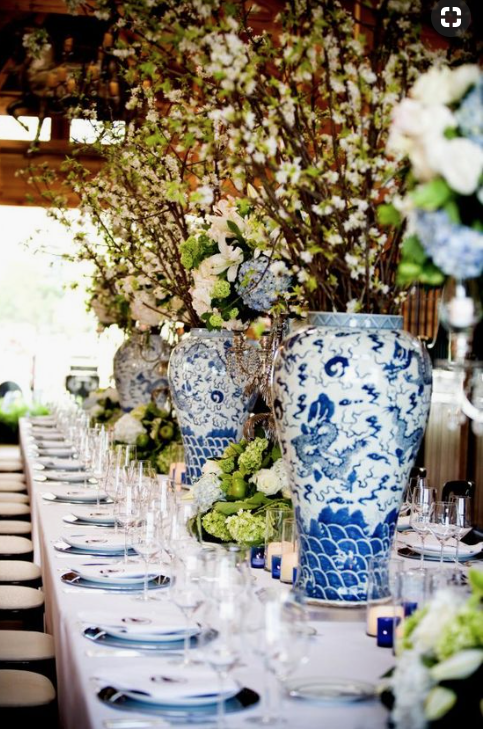 Love a clustered effect of blue, white and of course flowers! 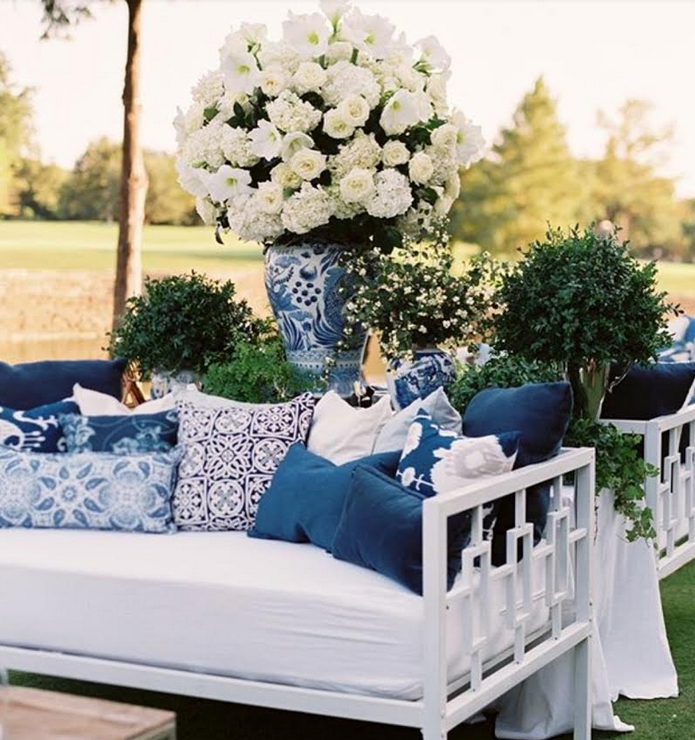 OK I apologize in advance if this suddenly makes you want to plan a party with a blue and white theme…I have to admit it has my own wheels turning:) I may have to make this years Christmas Theme blue and white all the way! How about you? 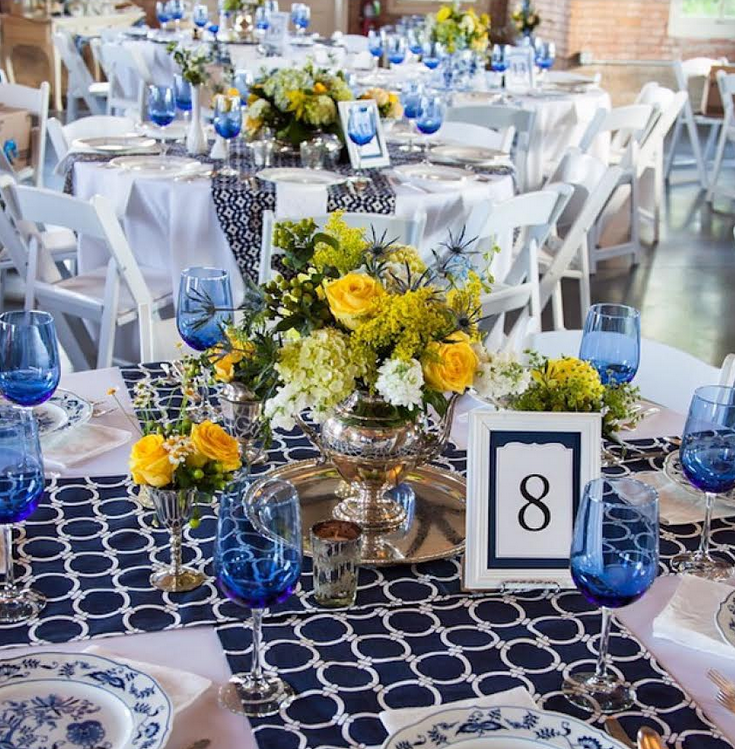 What are your thoughts on a blue and white party theme? Do tell! Thanks for stopping in, wishing you a fabulous day and hope the sun is shining! Until next time……..
PS Also second and last day of the hurricane/centerpiece bowl flash sale, click here if you missed it. 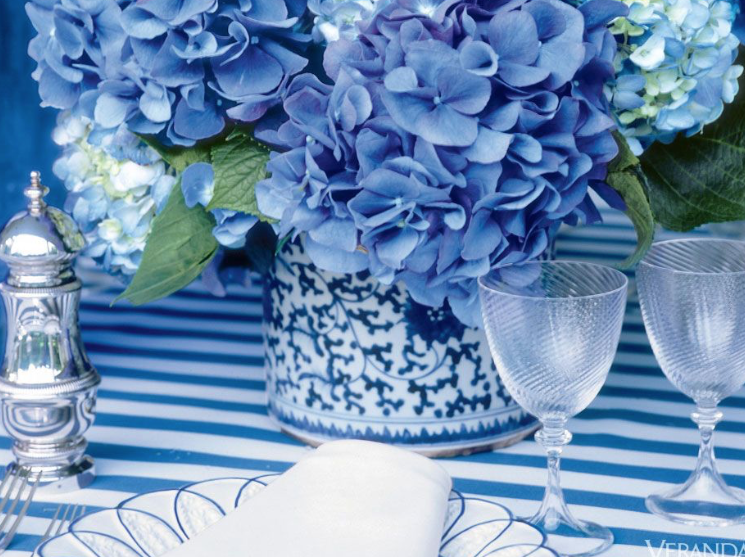 So many beautiful ideas for using blue and white to entertain! I love them all. 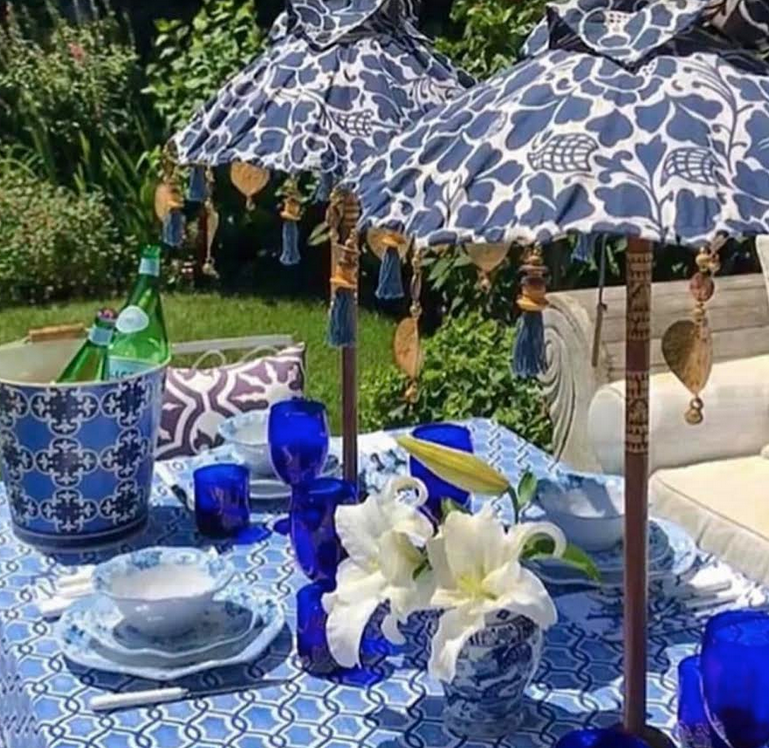 Thank you for these lovely & fabulous photographs & details, It is time for ‘The Enchanted Home’ to publish your very own ‘coffee table’ book of all your design ideas & accomplishments! Hi Tina, Did I miss the announcement of the contest winner Sunday. I looked for my name but didn’t see it!!! LOL!!! 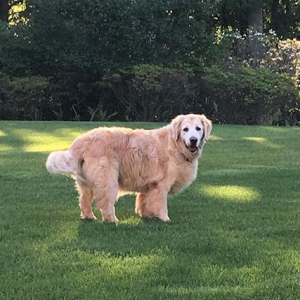 Absolutely beautiful ! I just cannot get enough of this color combination. I’m starting to plan a 90th birthday party for my mother. 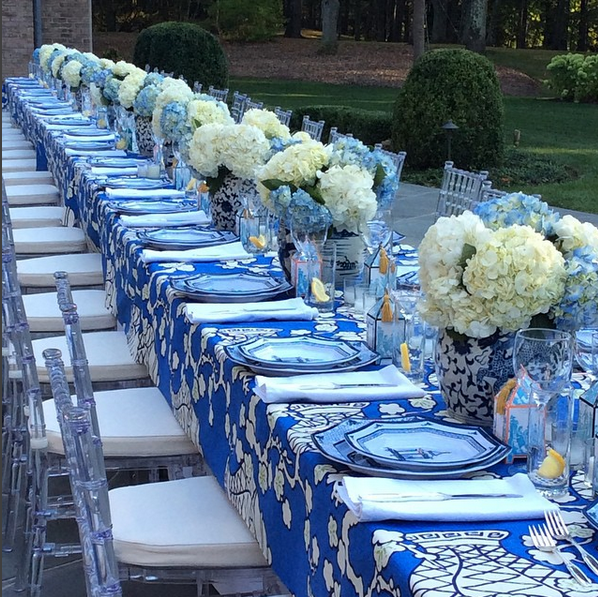 She has a fabulous collection of blue and white, so she would just love this theme for her party! Thanks for all the wonderful ideas. Each and every picture was just beautiful. What a wonderful way to start my morning, now I want to have a party! Tina, your work is always a treat to view. 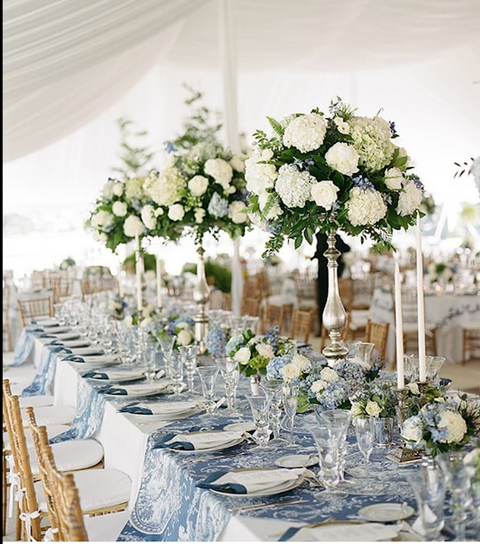 You are the ultimate party planner and designer with glorious ideas and never-ending ways to create a truly memorable event. How can any one person be so talented in so many areas? As one person commented, “You need to publish your very own coffee table book.” It would surely make the New York Times Best Seller List. Thank you for always being so gracious to share your creativity with us. 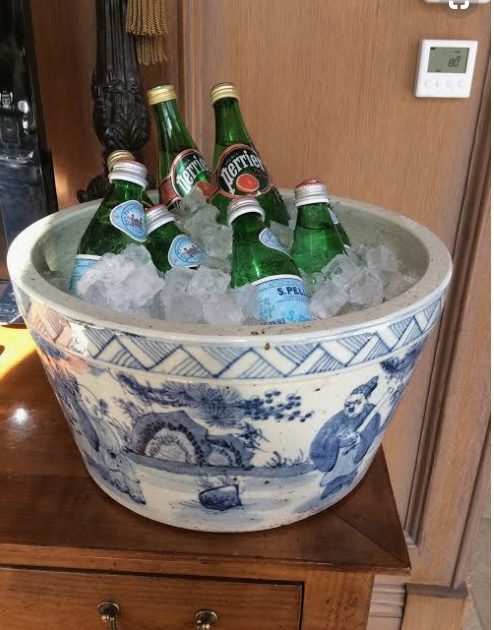 Wow, yes this DOES make me want to plan a party! 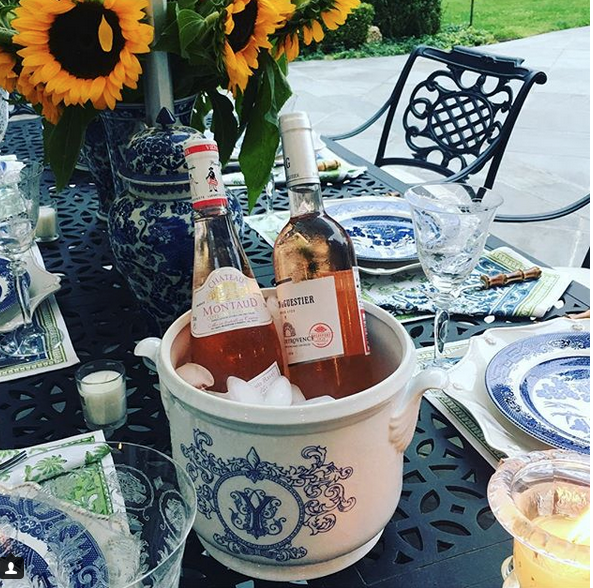 In fact we host a Labor Day party every summer for about 80-100 people and your post has given me some really good ideas here, I can incorporate a little red and think it will be beautiful! 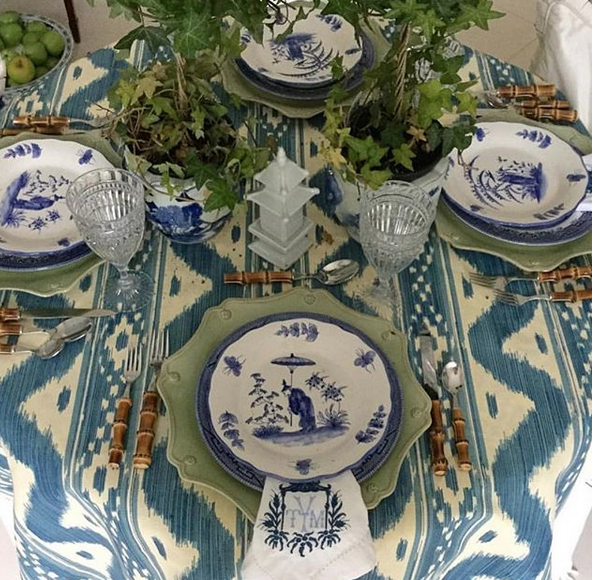 By the way used my melamine for a small dinner the other night with friends and it made the prettiest table, everyone complimented me on them and could not believe they were not china! I am in blue and white heaven . Such lovely photos. Speechless at the beauty and I am joining the chorus for you to come out with a book! Your talent is needed in a world where frankly good taste seems to have gone out the window. Your style is timeless and so elegant. I would stand in line to get one! Beautiful post! loved every one of them. 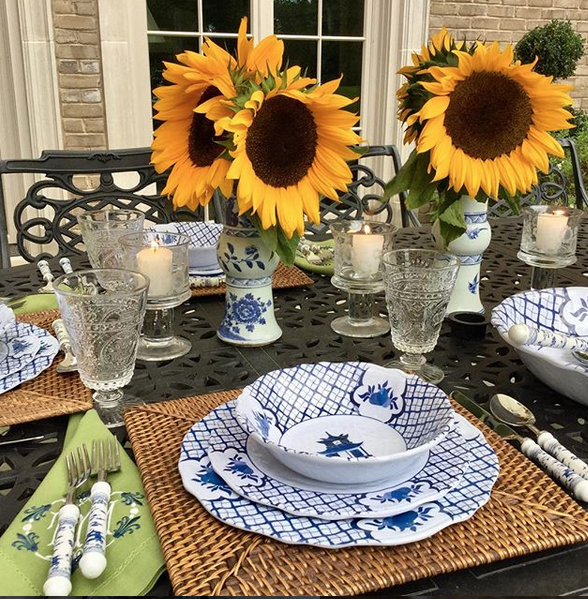 I love blue & white with sunflowers or daises–always puts a smile on my face. 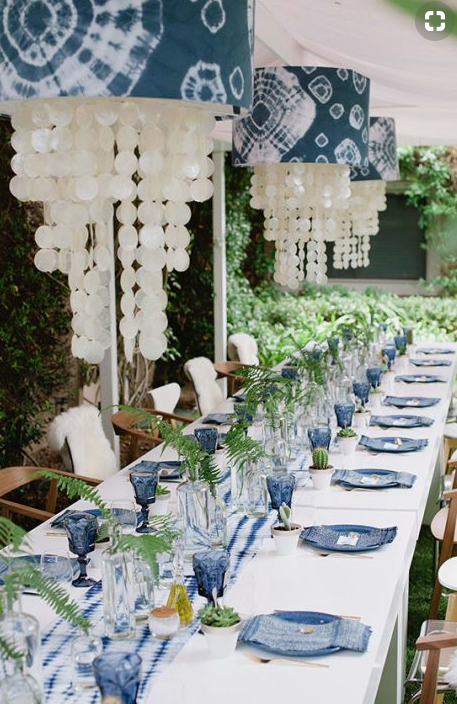 Lovely ideas for layering table linens for summer al fresco dining! 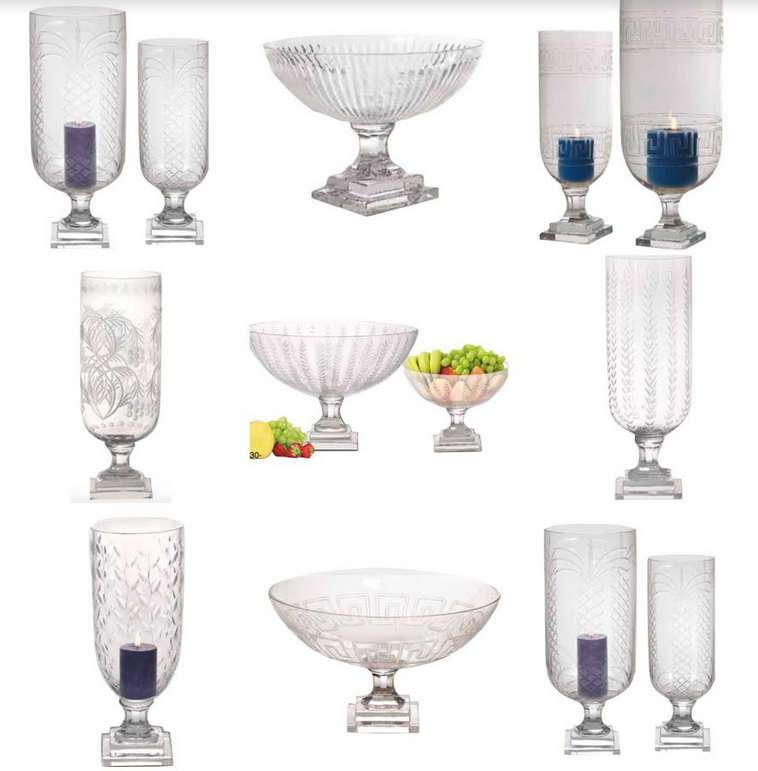 Totally agree with the Enchanted Home coffee table book idea! A project for 2019! 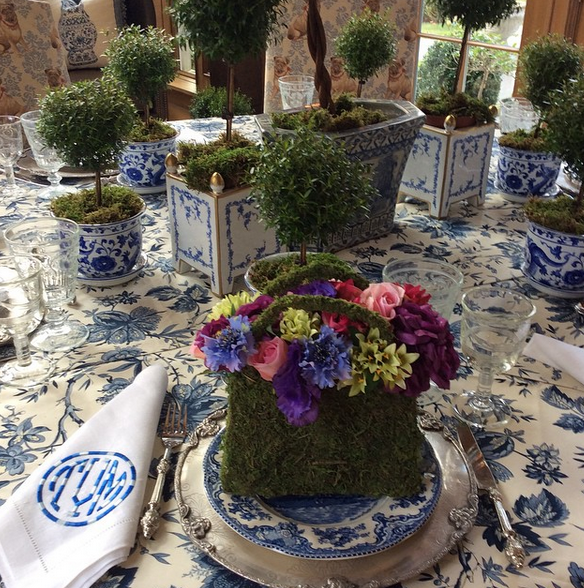 So many beautiful tablescape; thoroughly enjoyed viewing all of them. Great ideas! 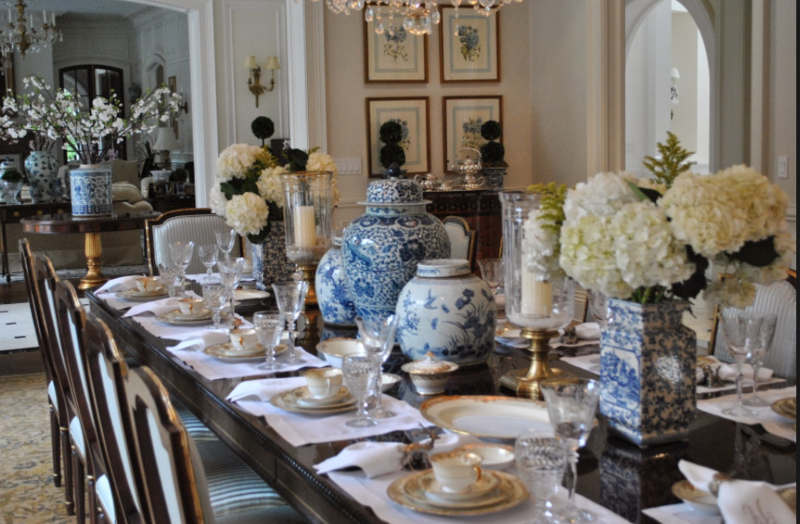 Makes you want to throw a dinner party or luncheon. The 8th picture down is not Cathy Kincaid. It is Mary Carol Garrity from Nell Hills. 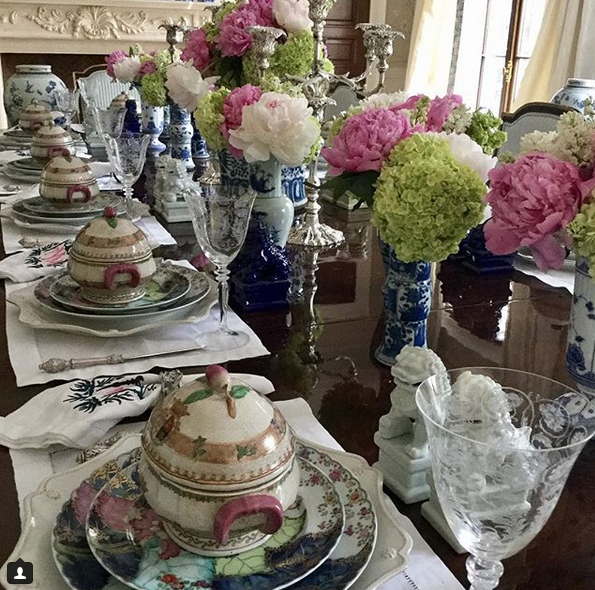 It is the dining room of her former home in Atchison, Kansas. Well, this was a great post! It came along at the right time! 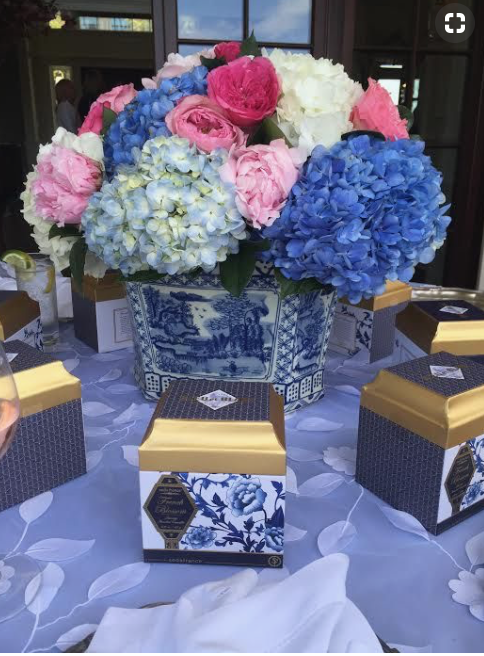 I just did a beautiful bridal shower for our daughter, Olivia on Saturday and yes EVERYTHING was blue and white! It took a lot of planning but it turned out amazing! 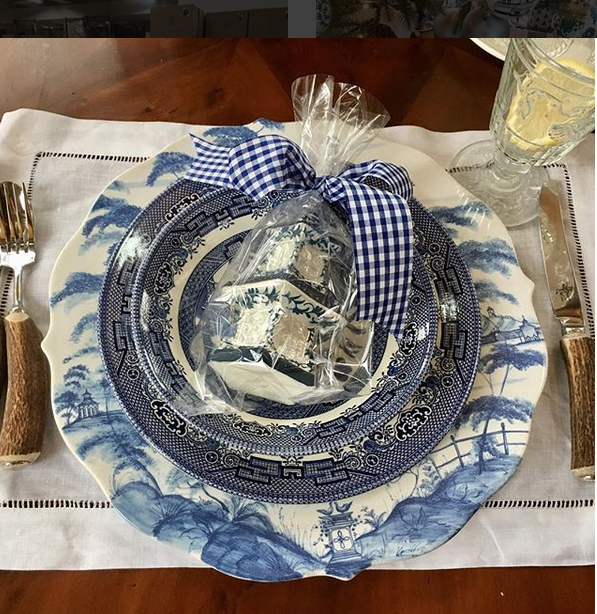 I am also lucky that she has acquired a taste for all things blue and white! 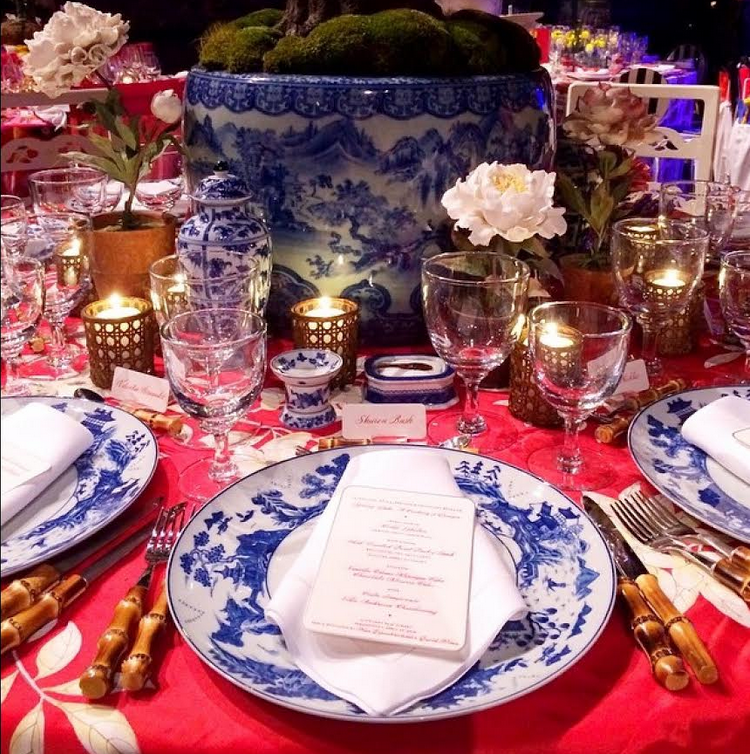 So her wedding will be filled with China blue dishes, vases, flowers etc! 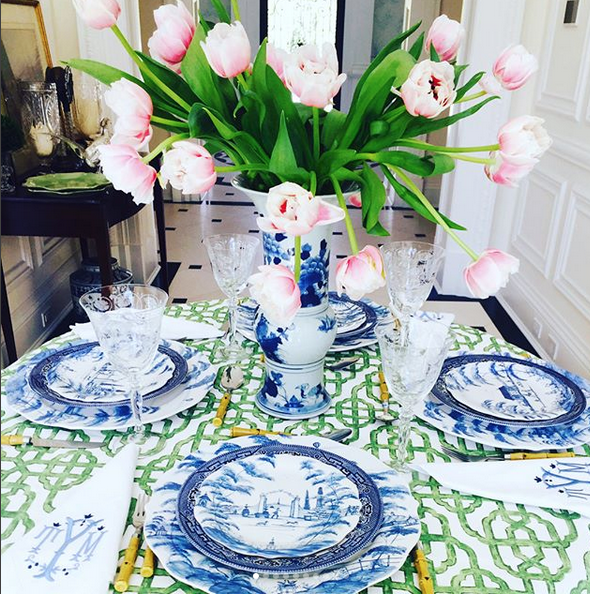 I love your tip to not be afraid to mix patterns. Beautiful examples! As always…beautiful…with so many wonderful ideas. It is a joy to be in “The Club”. 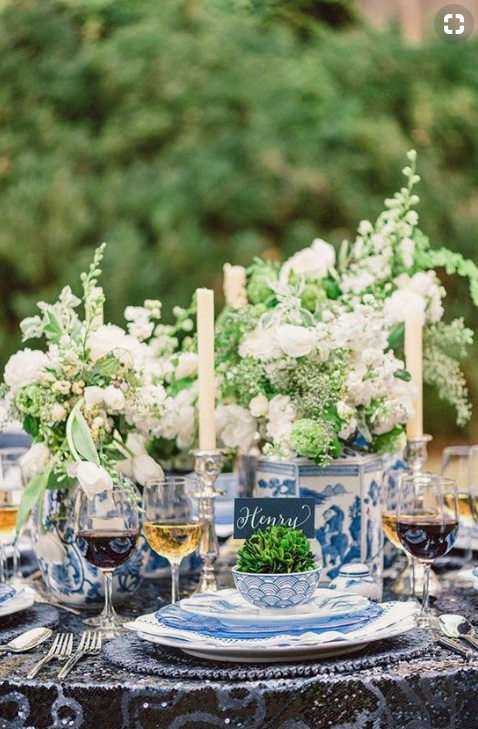 Blue and white never goes out of style. 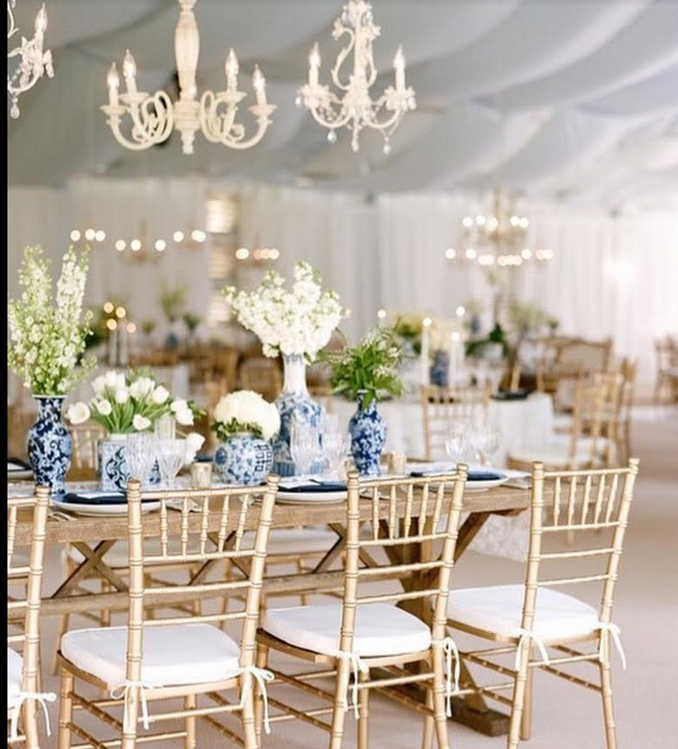 Crisp and bright but yet neutral palette allows us choices. Love the your posts! I too am a Blue and White Freak! Yes freak, I love it, have to have it! 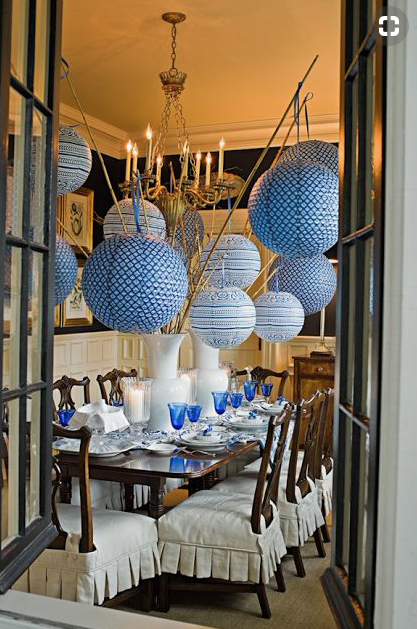 My WHOLE house is done in blue and white, every room! We just moved into our 2256 sf country home and I’ve had so much fun putting it all up! Thank you! For this site, I used it to show my husband that I’m NOT the only one out there, Lol I will be following from now on! Be Blessed!